Whatever others say, Google Chrome is the fastest and most used browser these days. To make our life more comfortable, we allow our browser to remember our passwords in order to help us login easily without entering the login details each time we need access. Well this creates a little odd but usual problem, we actually forget our password as we are in habit of login without manually entering the password. Well, no need to worry, you can see all the stored passwords in your Chrome using the simple steps. 1. Click on the menu button in the Rightmost top corner of Google Chrome. 4. In the bottom, click on "Show advanced settings..", the list will get expanded with advanced settings. 5. 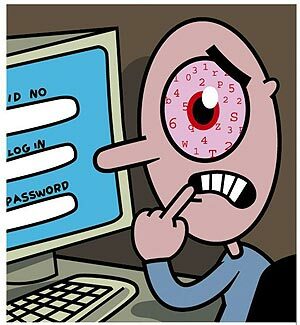 Under "Passwords and forms", click on "Manage saved passwords", you will get a list of all sites that you have choosen to remember your password and login details.